The new Neokid III Snowshoes are designed for the little bit in your life, and are perfect for for walking around the hood or winter trail activities. Kids want to have fun outside in the snow, and we all know carrying them around on our backs can get tiring after a few short miles. 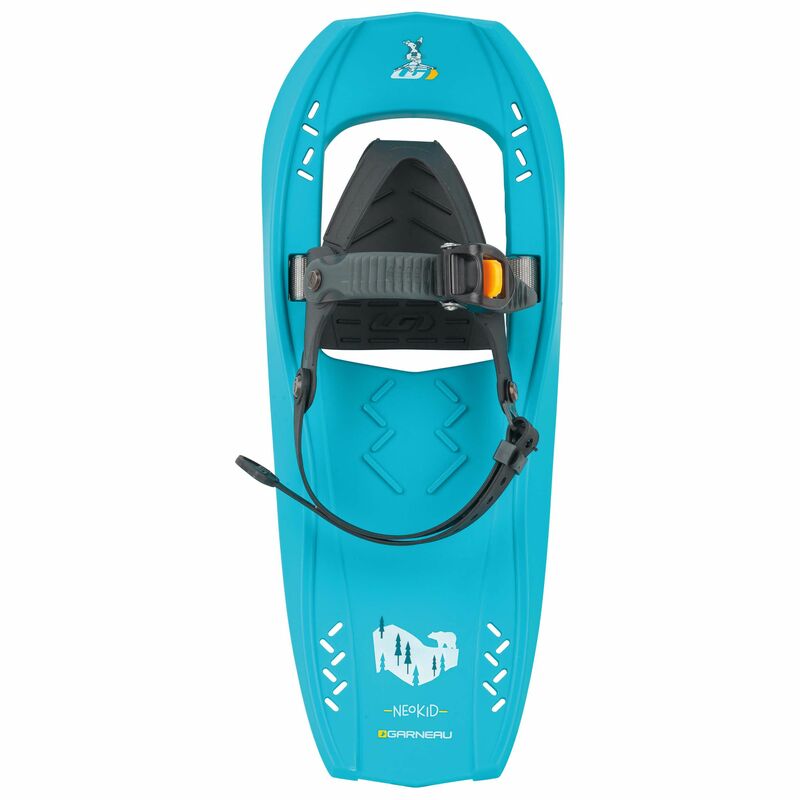 The new Neokid III Snowshoes are designed for the little bit in your life, and are perfect for walking around the hood or winter trail activities. The kid-specific single ratchet molded harness is mitten-friendly and goes on easily. The lightweight polymer decking sheds snow with ease, keeps the weight down, and the ergonomic profiling ensures a natural stride. Snowshoes Frame: Light and resistant polymer decking rated to -40° C.
Decking: Polymer molded deck: Light, sturdy, and resistant down to -40°C.